While the hatred between one human being for another will make even the wildest animals squirm with disgust, here is a musician who is inclusive and feels nothing but love for those around her. Ayelet Rose Gottlieb is a brave young woman who seems to have bucked the trend in public life and has now admitted others into her private world to share the joy of music. This is clear from Roadsides, a beautifully-crafted 2014 album. But while her good feelings toward one—especially toward her Palestinian neighbours what informs her aesthetic is the playful nature of her world which she incorporates into her music. Ms. Gottlieb also has fine sense of the elasticity of the idiom of jazz and is emboldened by her own triumph of human spirit to make music in the metaphor of jazz. Add to that the fact that this young woman has a natural flair for the theatrical and now all the shades of Broadway can be heard in her voice—a soaring soprano with all the attendant graces of vocalising in Hebrew—and suddenly she becomes someone with a stunning personality ready to take on the world. This is exactly what Ms. Gottlieb has done in her brave album. Roadsides is an album of many moods. It is upbeat when almost throughout, and although it transcends the political by focussing on the human it becomes more melancholic towards the end with songs that do not necessarily deal with both. Still it is worth noticing how the music slides from triumph of human endeavour to also acknowledging sadness in a landscape which is almost completely blanketed by a happy optimism. These moods find themselves in “An Old Shed of Tools” and in “From One Sky to Another, Dreamers Pass.” This is not to suggest that there can be no life without sadness and melancholia, but in this regard Ms. Gottlieb remains a realist. However, the most interesting aspect of the music is not attitudinal, but it remains musicality. Let there be no mistaking that fact. The music on Roadsides is redolent in the textures and flavours of the Middle East and especially of Israel where the melting pot of cultures has lived for centuries. The songs have been crafted with infinite care and love. And for this reason alone they are a joy to listen to. The sound is warmly encouraged by an excellent group of engineers who appear to have great ears and perhaps may even be musicians as well, familiar with the nuances of craftsmanship and how to deliver it to an audience on record. They also have a strong sense of heritage and this also helps make the album a touchstone of brilliance. 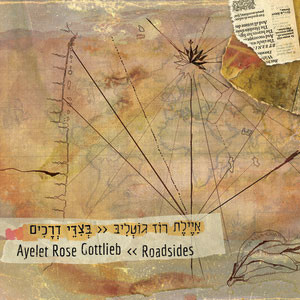 For that of course most of the credit goes to Ayelet Rose Gottlieb, far and away one of the most interesting voices in the music of this world. 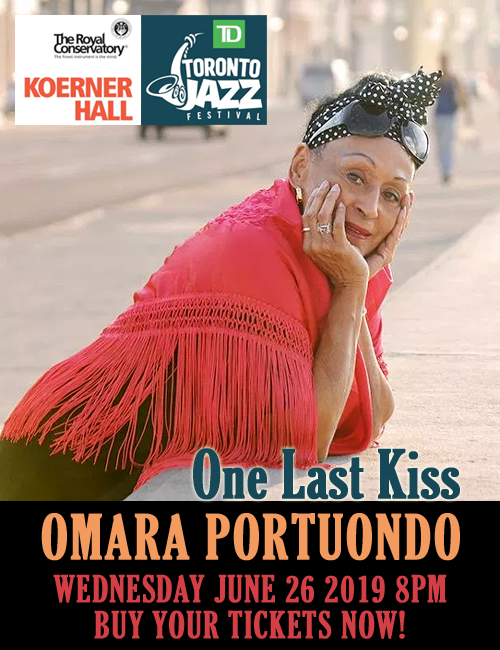 She sings with the confident, sustained tone of someone steeped in her own tradition both as a composer and a performer. She is headed for high places. And that is a fact. Personnel: Ayelet Rose Gottlieb: voice; Itab Nimer: oud, violin; Udi Horev; guitars; Anat Fort; piano; Ora Boazson-Horev: contrabass; Dani Benedict: drums; Alon Oleartchik: voice (2, 6, 11); Gilad Dobrecky: percussion (2, 7, 11); Julia Feldman: voice (1, 2, 10, 12); Michael Gottlieb: voice (1, 2, 10, 12); Father’s & Daughters Choir (12): Anat Fort, Moshe Fort, Noa Fort, Ofer Fort, Ruti Fort, Daniel Gottlieb, Michael Gottlieb, Eva Hannah, Micky Hazani, Tamar Singer.